Be an Agent of Change. Change the Status Quo. Learn how to develop and nurture donor relationships to advance your cause in today’s giving landscape with Cause Selling the Sanford Way: A Guide to Relationship-Driven Fundraising. Sign up to get an exclusive preview of the book as soon as it’s available. Philanthropy is about advancing your organization’s cause and advancing the goals of the donor. 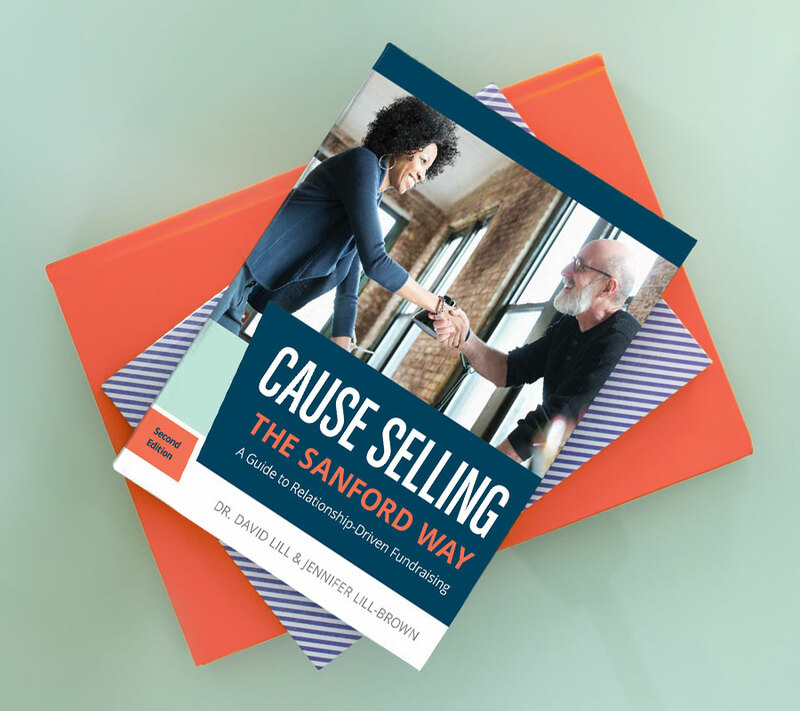 With Cause Selling the Sanford Way: A Guide to Relationship-Driven Fundraising, both are possible. People, preferences, and politics have altered the giving landscape. If you truly want to be an agent of change, you have to change the status quo. Cause Selling the Sanford Way: A Guide to Relationship-Driven Fundraising will help you focus on what really matters in today’s climate: the donor. Fundraising begins with a great mission. It is driven by a compelling message. It is sustained through meaningful relationships. Cause Selling the Sanford Way: A Guide to Relationship-Driven Fundraising. Cause Selling the Sanford Way: A Guide to Relationship-Driven Fundraising has been designed to inspire you and give you confidence by providing the training you need to view your fundraising career with the passion and conviction it takes to succeed. “The Cause Selling model promotes longterm, mutually beneficial relationships with like-minded donors. It also provides the fundraising skills and tools necessary to build professional confidence and equip fundraisers with the expertise, passion, and conviction it takes to raise funds successfully. Cause Selling shows fundraisers how to develop and sustain donor relationships by persuasively advocating the nonprofit’s cause in a manner that connects with the donor’s passions." The Sanford Institute of Philanthropy offers educational and training programs to help nonprofit fundraisers significantly increase their capabilities and their positive impacts on society. The first Sanford Institute of Philanthropy launched at National University in 2014 with the development of proven contemporary curricula presented by recognized nonprofit leaders, faculty, and renowned philanthropists. The University is coordinating with institutions around the country to launch affiliate institutes serving regions throughout the country.